Picture this, a sarcastic joke making fun of a Lebanese pop star ends up threatening one of the biggest and funniest pages to grace Lebanese and Arab Facebook. Over the past few months, and in lightning-speed time, the sarcastic page calling itself “Adeela,” referring to the world’s biggest pop star Adele, was as famous in these parts of the world as the character it’s based on. 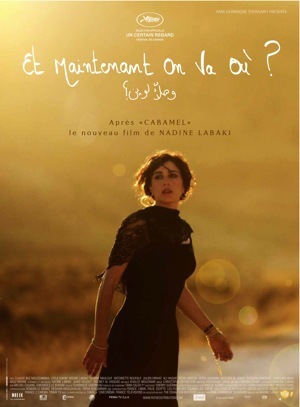 What started of as jokes placing a hypothetical Adele in an Arab setting soon became a scathing, sometimes over the top but often always spot on, critique of the state of the Arab pop scene. When Ahlam decided Lebanese were beneath her, Adeela was the first at the guillotines. When Beirut Madinati was running for elections, Adeela was voting for them in full force. The examples are endless. However, with the evolution of Adeela from an Adele-sarcastic character to an all-seeing basher of Lebanese and Arab female singers, unless they’re called Julia Boutros, the amount of people that started to take offense at Adeela’s jokes started to rise exponentially. It wasn’t that the jokes attacked their mother or father or religion – gasp – or family. It wasn’t that the jokes were offensive in themselves to those people’s character. No. Those people were so butthurt by a joke… about their favorite singing Diva, and at their forefront is the legions of fans of Nancy Ajram, Elissa and Maya Diab who almost managed to get Facebook to shut down Adeela’s page earlier today. The sad part is that it’s more than likely their respective “Goddesses” couldn’t care less about being joked about. In these parts of the world, any publicity is good publicity. It’s not like Adeela making fun of a singer on Facebook is a Kim-Kardashian-Exposing-Taylor-Swift moment. And yet, the amount of offense that some people take at creative, and yet ultimately useless, jokes is beyond unacceptable. Isn’t that the Arab way of doing things, though, so when someone “offends” you, your reflex to deal with that person is to silence them? It must be engrained in Arab DNA. There’s really nothing to it. It makes fun of how Nancy Ajram seems to find her way as a spokesperson for everything in the Middle East. It was reported to Facebook as “offensive content and propagating pedophilia.” The extent some people go to is unbelievable. How about you make chill pills part of your daily routine? 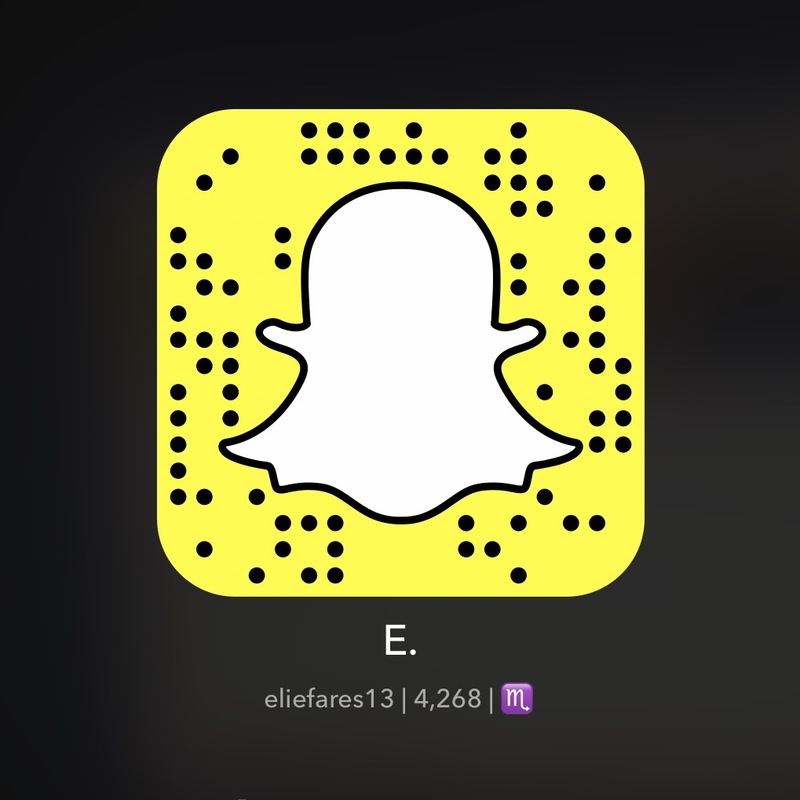 Why don’t you do some mental exercises to somehow boost your mental capacities to someone who doesn’t take personal offense at a joke targeting someone who will never be affected by it and who doesn’t relate to you in any way other than you fangirling over them releasing a song after Eid el Fitr? The fact of the matter is we need pages like Adeela in these parts of the world, not only to serve as a much-needed comic relief that never borders on the cliche, but also to maybe, just maybe, shake some sense into our over-botoxed, over-stretched, over-faked scene. Who knows, maybe the next Arab revolution is not about changing political systems but reducing lip fillers? This is the end. Hold your breath and count to ten, Adele croons as Skyfall’s breathtaking opening scene comes to an end. A car-turned motorbike-turned train chase in the busy streets of Istanbul is as big of an adrenaline rush as you can get. The one-two hit of Skyfall‘s opening ten minutes is more than enough to keep you hooked in your seat for the ride that is going to unfold. James Bond is assumed dead. MI6 is threatened, right in its heart. And M is taking all the blame for it. But she is resilient and set to find out who’s the player in the shadows causing all this mayhem – after all, it can’t but be someone she has worked with before, someone who knows MI6 as well as she does. Could M and James Bond finally meet their match in the series’ most unhinged villain, so reminiscent of The Dark Knight‘s “The Joker” in its complexity? Daniel Craig’s greatest legacy as James Bond is bringing humanity back to the character. Long gone are the gimmicks, the overt supernatural technologies that filled installments such as “Die Another Day.” Long gone are the days of James Bond being near indestructible, near invincible. Long gone are the days where James Bond doesn’t show his emotional side. Long gone are the days where James Bond is just a killing machine that doesn’t fail physical tests, doesn’t get shot. Long gone are the days where James Bond is anything but weak. We had gotten a glimpse of that with Casino Royale. It slipped in the horrid Quantum of Solace. But Skyfall is a great return to form for the character and the actor. Judy Dench as M is captivating as the wounded agent who has given her life for the agency that’s now crumbling before her eyes, trying so hard to cling to the only thing she’s ever done well and terrified at the prospect of having everything she knows change. The new additions to the roster such as Ralph Fiennes and Javier Bardem do exceptionally in their corresponding roles. Skyfall boasts a terrific British cast that knows what they’re doing every second they are on screen. Sam Mendes, the director of this installment, has to be credited for breathing new life into a series that seemed to be nearing its final breath with Quantum of Solace, a movie that threatened to bring the reboot to its knees. His take on the franchise roots it in the real world than any other 007 entry, making Skyfall oddly relatable and passionate for a movie about a spy agent. 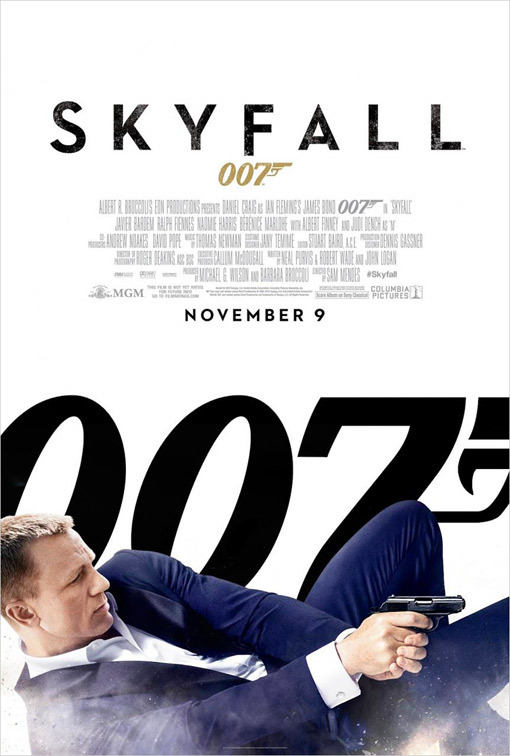 Skyfall is definitely an addition to the 007 series to be proud of. It is a movie that will make you stand tall after it’s done and as everything crumbles around our favorite agent. The lengthy run time of over two hours will feel surprisingly short as you’re immersed into their oddly familiar world. I believe it is one of the best 007 movies of the entire series. And as the movie reaches its climax, you realize that Skyfall is where it ends. Skyfall is also where it begins again. So hold your breath. And count to ten. 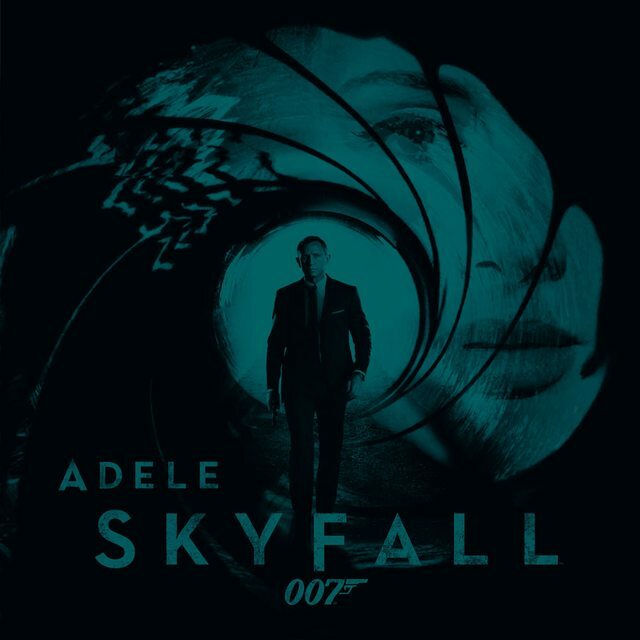 Adele is releasing the theme song for the upcoming 007 movie, Skyfall, in a couple of hours. But the song has already leaked and it’s typical Adele. I like it actually. I won’t go into a full review of it because I have no idea how it fits with the movie but they sure incorporated the movie title well and made the song well-centered around it. Adele, of course, gives a great vocal delivery – as is expected from her – with subtle nuances here and there that make the track much more enjoyable. However, I expected the track which was produced by the same person that did “Rolling In The Deep” to carry more punch to it, especially with it being a James Bond theme. It feels slightly subdued. However, it is still miles better than what everyone else is releasing these days. My favorite part of the song is the end. No, I don’t mean the song ending but rather the high notes Adele reaches towards the end, serving as a climactic conclusion. In a way, the song is a buildup and it pays off. I give it a 7.5/10. Proving yet again that she can deliver songs better than their original performer, Carrie Underwood took on one of Coldplay’s most famous songs “Fix You” at her UK debut concert at the prestigious Royal Albert Hall. If the name sounds familiar, it’s because Adele released a DVD late last year of her concert at the same venue. Reporters and UK personalities present at the concert were gushing over Underwood’s vocals. ChartShowTV: Wow! @carrieunderwood was too good tonight in London! Her version of Coldplay’s Fix You was stunning! Note: the top 5 songs can easily be rearranged as you see fit. I have personally classed them as such based on how often I listened to them according to their iTunes play count. 13 – We Are Young – Fun. My favorite song off their new album, Own the Night. The lyrics are smooth, fresh and lively. The music is happy, effervescent. The chorus is one line that will get stuck in your head. “Yeah we owned the night!” (My review of We Owned The Night). This newly released song is easily one of my favorites of 2011 as well simply because it is a greatly written somber song, perfectly befitting the mood of the movie it will be part of. It is among Swift’s best works and can be one of the few songs she has written that would please a wider fanbase than the teenagers she normally targets. “Just close your eyes, the sun is going down. You’ll be alright, no one can hurt you now. Come morning light you and I’ll be safe and sound.” (My review of Safe & Sound). Because no other breakup song can be this good. Someone Like You is chilling. Someone Like You is captivating. Someone Like You is a song almost every other artist out there wishes they had written. “Nothing compares, no worries or cares. Regrets and mistakes, they’re memories made. Who would have known how bittersweet this would taste?” (My review of Someone Like You). Although released to country radio back in 2010, I’ve decided to include this song in this list because 1. I didn’t have a blog in 2010 and 2. It was released to other radio formats in the US in 2011. There’s just so much I can say about this song and I would still be able to say more. You only need to look at how many people were affected by this song to know exactly the magnitude of its reach. It may not have become the smash hit that Someone Like You or Rolling In The Deep became but it is a song equally worthy, if not more. What song can get a sixty year old woman to stand in a concert in the scorching sun and hold a banner saying: “She died young.” You can’t listen to If I Die Young without being contemplative. “If I die young, bury me in satin. Lay me down on a bed of roses, sink me in the river at dawn, send me away with the words of a love song.” (My review of If I Die Young). The bonafide country hit of the year. Remind Me, the fourth single off Brad Paisley’s new album, is a song about a couple wanting to rekindle their dying romance and it resonates with almost all couples who have been together up to a point where they’ve become so used to each other they take their significant other for granted. The song beholds a stunning vocal performance by Carrie Underwood who’s set to release her fourth album sometime in 2012. “Do you remember how it used to be, we’d turn out the lights and we didn’t just sleep? Remind me, baby remind me.” (My review of Remind Me). It seems that the radio run of Remind Me, the #1 country smash, is not over by it reaching the penthouse of the country charts on the September 10th issue. Arista, the label behind country music’s biggest stars Brad Paisley and Carrie Underwood, who delivered this stunning duet to the masses on Paisley’s latest album, This Is Country Music, is releasing the song to US radio outside the country genre. On November 14th (one day after my birthday so I’ll take this is a belated gift), radios that play Hot Adult Contemporary and Adult Contemporary music (ie: music by artists like P!nk, Kelly Clarkson, Adele, Daughtry, Lady Antebellum, Maroon 5, etc…) are invited to add this song to their playlists, after being remixed to suit their sound. Hot AC success for country songs is seen by many as a gateway for entry to pop radio, which is becoming more and more receptive to country songs without remixes, as shown by Taylor Swift’s “Back To December” and Lady Antebellum’s “Just A Kiss,” currently at #25. In other news, Carrie Underwood and Brad Paisley co-hosted the CMA awards for their fourth consecutive time yesterday, opening hilariously with a sketch that played on Hank Williams Jr.’s slur of Obama being like Hitler and Kim Kardashian’s 72 day marriage. Carrie and Brad also performed “Remind Me” to a standing ovation.